As there have been many changes in the combo amp market since we originally wrote this article, we have updated the content and chart to reflect some newer models. We removed the Blackstar HT Series HT-1 and added three new combos – the high-end Line 6 DT25 112, the ultra-versatile Line 6 Spider V 60, and an excellent practice amp, the Marshall CODE 25W. When combo amplifiers were introduced in the 1930s, they had a slow start but eventually proved a hit with guitarists as the units became more advanced. Conceived out of necessity, this type of amplifier has since proven to be a very versatile and user-friendly way to get some serious sound out of your guitar! What is a Combo Amplifier? Can You Use Combos on Stage? Today we’re going to check out some of the best amplifiers on the market which come in this format. After we do a short overview of our picks, we will go into a few often asked questions about this type of amps and how they can help you become a better guitar player. Without further ado, lets get to it. Revamp of one of the most epic tube combo amps ever made. Impressive show of what vintage tubes can do in a modern configuration. Stunning all-tube combo modeling amp with pro tone. Modern iteration of an legendary amplifier that impacted music in many ways. One of the smallest packages that delivers a truly genuine Vox sound. Incredible versatility for such a low price. Marshall pack a huge amount of tones into an affordable combo. Typical Orange power, grind and finesse delivered in a very compact package. 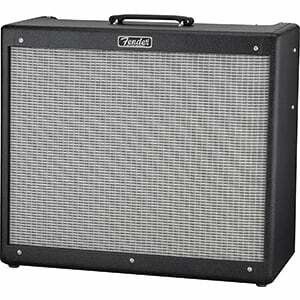 Fender's amplifier are nowhere near as popular as their guitars. With that said, this brand is known for some of the most influential and sonically attractive guitar amps ever made. One of them is the Fender '65 Princeton Reverb. This model first appeared some 50 years ago, and was almost instantly recognized as a very capable unit. Fender has decided to do a reissue, which has caused a lot of hype in the community. On the release date, all of the expectations were confirmed as met. Not too long after, users have found numerous ways to boost the performance even further. Ultimately, Fender '65 Princeton Reverb is a time capsule that has brought the best of vintage tube tone back. Hot Rod DeVille 212 III is by far one of the most impressive combo amps we have today. On paper, it doesn't give that impression but it takes only a couple minutes of hands on experience to confirm all the hype. What Fender has essentially done with this box is revamp one of the most authentic vintage tube tones we know today. It's a simple package, with two channels and a built in spring reverb. However, the quality of each of these features is on a whole different level. On top of that, you get 60 Watts of purest tube power, which is plenty enough for most applications. It's not hard to see why this amp is so loved today. One of the higher-end combo amps on this list is the all-tube DT25 112, which combines the modeling knowhow of Line 6 with the analog experience of boutique amp builder Reinhold Bogner, for a one-of-a-kind combo. In addition to a sophisticated design, the DT25 112 offers four unique amp models – including American clean, British crunch, and modern high gain, at the flick of a switch. As well as sounding divine, there’s a maximum of 25 watts of power which is great for smaller stages, although it can be hooked up to external amps to deliver bigger sounds, while a built-in Low Volume Mode is excellent for home practice. 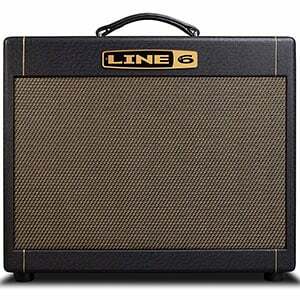 There’s more on Line 6’s DT25 112 in the full review. 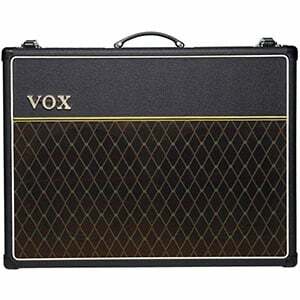 Vox amplifiers are credited with impacting rock music in a very profound way. Most of that can be attributed to their AC series of combos. While AC30 is definitely the more popular in the series, AC15 is not too far behind. Vox has recently decided to rework the AC lineup, offering some custom models. AC15C2 is one example and it's beyond impressive. 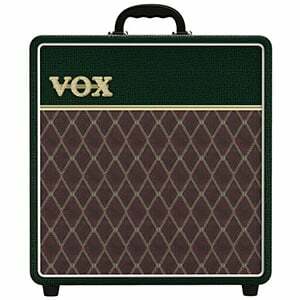 The most important feature you can count on is that classic, vintage Vox tube tone. The best thing is that with the revamp of these series, you no longer have to put aside a small fortune in order to have access to that legendary tone. It’s fair to say that AC15C2 is among the best amps currently available. Mini tube amplifiers are all the rage at the moment. Even though this trend didn't become huge overnight, most of the larger brands were ready as soon as the whole thing started. Vox was of course among the first. There are numerous mini tube amps in Vox's lineup, but AC4 Classic Limited Edition had got to be among the most interesting ones. With its humble 4 Watts of power, this tiny amp is a perfect choice for practicing and recording. The reason being that AC4 brings the essence of that epic Vox vintage tube tone. You no longer have to spend a fortune to get it, and it comes in a compact package. It doesn't get much better than this. As versatility on a budget goes, there’s no beating the Spider V 60 from Line 6 – an experimenter’s dream! For under $300, this solid-state combo amplifier offers an unrivalled range of tones, including more than 200 amps, cabs and effects models, with 100 quality presets. In addition, as highlighted in the full Spider V 60 review, it also includes a built-in tuner and a metronome, a USB port for recording and playback, and 19 real drum loops for jamming by yourself! Despite being the ideal at-home practice amp, this combo packs quite a punch in the power department with a full 60 watts delivered by one 10” speaker, meaning it will handle many performance scenarios. Players on a budget don’t have to settle for a generic combo amp with limited tonal control, as the Marshall Code 25W is out to prove. This sub-$200 solid-state amp sets the bar high when it comes to modeling and effects, with a choice of 14 classic Marshall preamps, four power amps and eight speaker cab emulations, as well as 24 popular digital effects! It is also easy to customize any tone through the mobile app. As for power, the Code has a 10” speaker with a maximum output of 25 watts, meaning it will feel at home in practice sessions, band practice and on smaller stages. 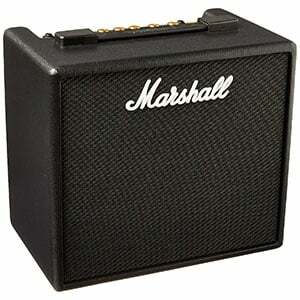 Be sure to check out everything on the Marshall Code 25W in the complete review. 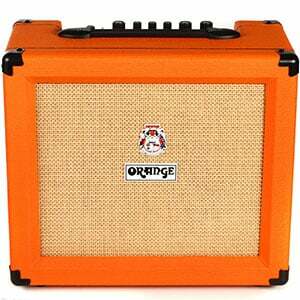 Orange Amplifiers is among the amplifier brands which are actually known for making bulletproof combo models. Their Crush 35RT belongs to the more affordable segment of their lineup, but is every bit as incredible as their other models. What makes it so interesting is the amount of pure tonal perfection it brings for the money. You are looking at a solid state build with an extremely refined cleans and those classic Orange dirty tones. This is a type of combo amp that goes straight to the point. It doesn't try to bribe you with a plethora of effects and emulations. No, this thing is all about raw performance, the old school way. As such, it represents a perfect practice rig. A combo amp – short for a combination amplifier – is one of the two commonly used types of guitar amp (the other being an amp head). How do combos get their name? Because they combine both the amplifier and the speaker into a single cabinet. You will tend to find that combo amps dominate the more affordable segments of the market, although they are certainly present in the higher end too. The sheer popularity of combo amps has led to a huge number of models hitting the market in the past several decades, all with different features. For example, combination amplifiers can use either vacuum tube or solid-state technology; they can be big and heavy or small and portable; and powerful enough for a huge stage or quiet enough for home practice. As we touched upon, these days there are two standardized types of guitar amplifiers: combos and amp heads – the latter of which are usually hooked up to standalone cabinets/speakers and referred to as ‘stacks’. When it comes to the stack setup, the main drawback is that you have to buy the head and then spend a similar amount of money on the speaker cabinet. However, with a combo, everything you need comes in a single package that’s ready to go as soon as you open the box. As well as being a simpler purchase, combos are more convenient when transporting the amp (even if they are generally heavier than their amp head equivalents). For example, you could be practicing on your combo at home one night, taking it to a pal’s house to jam the next day, moving it to the studio the day after that, then gigging with it on the weekend. Just grab and go – no need to carry a separate speaker and connection leads. Some players will look towards amp head and cabinet stacks for the ultimate versatility in tone – and they are right. Different amp heads offer subtle differences in tone and the same can be said about speaker cabs. So, it’s very appealing to choose the exact amp head you want, then pair it with your favorite cab – whether from the same brand or mixing and matching (a Peavy head with a Marshall cab for example). However, this freedom can be a double-edged sword. Just as a specific speaker cab can improve the performance and sound of an amp, pairing the wrong equipment can ruin it. With combos, this problem doesn’t exist, as the amp has been expertly designed so that the speakers specifically match that amplifier to deliver the best tone and performance. The short answer to this question is a strong yes. Combination amps are used on stages of all sizes around the world every day, and are particularly popular with country, pop and blues players. They are ideal for smaller gigs, such as halls, clubs and bars instead of outdoor festivals and stadiums where a stack is the more popular choice. The main limitation of using a combo on stage is that they are often limited in power compared to amp heads. From a purely practical point of view, a powerful amp head and a big cabinet will give you so much more power than any combo, proving the better solution for biggest stages. Combos can indeed be hooked up to external speakers, so you can use it on the biggest stages too, but you have to ensure the amp provides a line out for standalone speaker cabinets – many combo amps don’t offer this. One of the best things about combos is how different they all are – they come in a variety of sizes, shapes, flavors and price ranges. 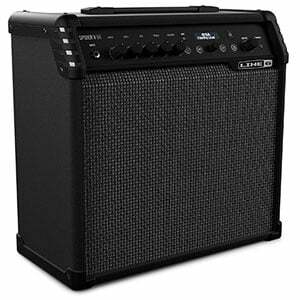 You can find some amazing combo amps with great power, tone and versatility for under a hundred bucks, but good luck finding a similar amp head for the same amount of money. Choosing the right combo for your needs depends on a number of things, including your budget and your aspirations. If you are just starting out in the world of guitar and are looking for a basic budget amp, you probably don’t need to put too much thought into it, as a beginner’s amp will offer everything you need in terms of basic power, tone and control. But as you move up the experience ladder and are shopping for your second or third amp, you need to consider what you are going to be doing with the amp. Are you looking for something that’s going to be used exclusively for home practice? Or are you in the market for a gigging workhorse that may also be used in a recording studio when you’re not touring? If you are planning to gig in a year but need to buy a new amp today, it’s worth investing in an amp capable of gigging now, otherwise you’ll be back on this page again in a year looking to buy another amp! The rule of thumb is to buy in as high a price category as your budget allows. If you can stretch to a $300 amp instead of a $200 amp, the power, sound and features can be triple what you’d expect to find in the lower price range. If not, the best advice we can offer is to try to find an amp that sounds good to you. Take advice from reviews, friends and experts, but ultimately make the decision based on the amp that sounds the best to you and offer the features you require. As you look around the amp market, you’ll soon notice that some brands offer the same amp model in both combo and head form. Why make both? The only reason for this is that brands know that guitarists want the choice – some love the convenience of having the amp and speaker together in one box, others want the flexibility to mix and match with an external speaker. Is one better than the other? Again, no – it’s down to personal choice. Although the different design can affect the overall sound of the model. For example, at the highest volumes, if you are testing Model A (stack) and Model B (combo), you’ll probably notice that Model A offers more low-end thump as the cabinet is bigger. This is why metalheads tend to go with stacks! Despite amp heads being the amp aficionado’s choice, combo amplifiers are as popular as ever with both pros and beginners alike. Whatever your budget, style and ultimate goal, we hope our chart has offered a little inspiration when looking for a good amp, although there are many more out there. Read some reviews, watch some videos and test some out if you have the chance. Good luck!